Intuit has released the QuickBooks 2011 R3 update to manual update. This is the first public update to the 2011 product, and it has a number of changes. The good news is that it looks like QuickBooks 2011 must be pretty stable, as we aren’t seeing any earthshaking patches here. Wait – we didn’t see an R2 release? Don’t worry, you didn’t miss anything. There wasn’t an R2 release. Intuit generally holds the “R2” designation if they need to get a major problem fixed quickly. That wasn’t needed this year. I have been using the R3 release in Enterprise for about a week, and I’ve not run into any new problems. The list of fixes that they officially are listing is shown below (based on early info, there may be some last minute changes as it gets released). I won’t say that I tested every feature shown here. The QuickBooks File Manager ( a part of the Accountant’s Editions) should list the version of QuickBooks that is used for a particular file. In the first release it didn’t always show the version for portable company files. This should work now. Several installation problems have been resolved. There are some changes to user permissions. Viewing of paycheck information has been made more secure. Also, if a user does not have access to a specific bank account (but is allowed access to OTHER bank accounts) you can prevent them from writing a check in the prohibited account even if they have Sensitive Accounting permissions. If you are using an online service or third party addon that runs QuickBooks in the background, you will no longer see the message An empty QuickBooks window already exists, so QuickBooks will use that window when you launch QuickBooks with the desktop icon. 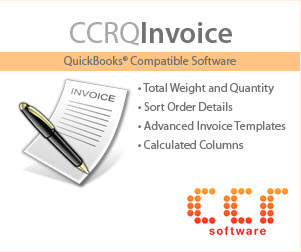 If you convert a Quicken 2010 file to QuickBooks on a Windows XP computer, the program will no longer crash. If you are using the Intuit PaymentNetwork and resend an invoice that has already been paid, the invoice will not include the Intuit Payment Network link. You also have a new preference to remove the Intuit PaymentNetwork link from printed invoices altogether. If you are creating a new company (or updating an existing one) using the new QuickBooks Setup feature you now can modify the customer or vendor balance when adding records. If you are using a third party addon that modifies or creates purchase orders you will no longer get the error message PurchaseOrderQuery Internal error 1000. You can send batch invoices from the Collections Center if you are using the QuickBooks service to mail invoices. Some error messages are resolved in the multi-instance feature. The Search window sometimes was hiding the close button. Should you update? 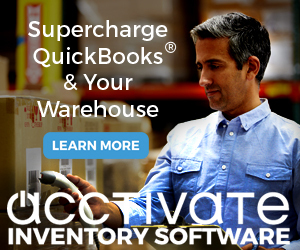 If you are running QuickBooks 2011 or Enterprise Solutions V11, then you should definitely get this update. Go to the product update page to get this update, and a comprehensive list of the changes (I’ve not listed EVERY change here). If you are using an older version and are waiting to install QB 2011, well, that is an interesting question. I’ve been running Premier 2011 for quite awhile now, and I have not run into significant show-stopping problems. I’m happy with it. I haven’t heard a huge outcry as we have in some past years. SO, it is up to you, but it should be OK. MAKE SURE that you make a backup of your older company files BEFORE you install the upgrade. MAKE SURE that you install the new program into a separate folder, so that you have both the old and the new program. TEST the converted file to make sure that all users can still use it. Be cautious, be safe. I experienced (and reported) what I believed was an issue with R3 and the new Advanced Inventory feature in QB Enterprise V-11; but I think we have tracked it down to ‘timing issues’ as to when ‘feature related’ menu items either become available or turn-on as part of setting up a brand new file to use Advanced (Multi-site)Inventory. It appears that the code was written in a fashion so that some A.I. features can not be invoked in a new file by just turning the feature on from preferences. Similar to the way that QB doesn’t set-up Inventory Asset and Cost-of-Goods accounts until you begin to add an actual Inventory Item, certain AI features don’t pop-up or become available from menus until you have at least one Inventory Item and it must have an actual on-hand quantity. I couldn’t find this documented in any of the help or references to the A.I. feature so it seemed unusual, but apparently it must be part of the normal work flow. Thanks, Bill. Also someone had a problem where installing R3 prevented them from getting to Advanced Inventory – but it looks like that was an isolated case. As with any early versions, there is always the possibility that there are a few things not quite worked out, which is why I tend to be cautious on recommending going to QB 2011. You are bound to find some small stumbles with AI, it is a major new feature. Thanks for the update. I plan to upgrade a client after the 1st of November – techies – they love upgrades :-). Will be installing it on my machine over the weekend. Your comments make me feel more secure. That I’m not heading for a moinefield. Should it say now instead of no below? If you are creating a new company (or updating an existing one) using the new QuickBooks Setup feature you no can modify the customer or vendor balance when adding records. Charlie – does that mean if someone is using the “find” function, they will NOT see the net amount of the paychecks if they have no payroll permission and no permission for the payroll bank account? I lost a client over that issue a few years ago. Mary Beth, I can’t answer that. I don’t have Payroll installed. Sorry. And the notest that I have from QB don’t go into any more detail than that. Great article. Thank you. I was waiting to see if I should start using 2011. Now I have heard you and Bonnie Nagayama and feel a lot more comfortable with that idea. Question: if I restore a client file on my 2011 premier/or ES, save it as company file and start working on changes, would my client have problem opening the file and/or seeing the changes in their 2010 pPremier/or ES? Vanessa – if you have a regular company file in QB 2011 format, that file cannot be opened in QB 2010. 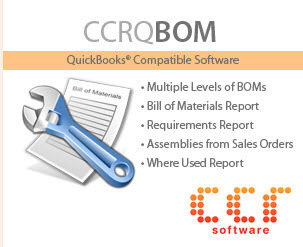 The only way to have backwards compatibility is if you are working with the Accountant’s Copy of the client file – they can have QB 2010 and you can use QB 2011 to make changes, that you give back to them as an accountants update file. And that only works one year back. Is anyone out there suffering a “crash” in QB11 when you try to email or print a purchase order before saving? This used to happen in QB10 with Credit Memos, but was resolved with one of the upgrades. Pam, I’ve not seen that myself, none of my clients have reported it (but I can’t say that any use that particular workflow). Have you had any issues with registering Enterprise after installing? I have a client with issues registering Enterprise on one workstation. There were no problems registering it on the server and other four workstation. But one workstation errors out when I try to register it. The first error states, “This operation is temporarily unavailable. Please try again later.” When I click “OK” I get the error, “QuickBooks online registration did not finish…select register by phone…” However that option never comes available. Somewhere during troubleshooting, I also received an Error 3371. I found some troubleshooting advice about this, but it did not work. Have you run across anything like this before? Wendy, I have not run into that myself or with any clients, so I don’t have a ready answer for you. Make sure that you don’t have a firewall issue blocking QB from the Internet on that one system, as a start. Installing QB 2011 on my laptop has been an absolute nightmare. Ever since Windows did its latest update, I can no longer print in pdf format, can not even do payroll as I get very strange error messages with the program shutting down and Code Error #’s and now when I try to exit the program I get more Unrecoverable error message and get booted out. I run Windows 7 – 64 bit and ever since this update nothing works right for me. I have spent hours on the phone with Intuit – to no avail and have already de installed and reinstalled the program twice. I really need help as I cannot get any work done and am so frustrated I no longer know where to turn to. Gabe, I’m sorry that you are having this issue. I haven’t run into it myself. What version of Windows are you using? And did you install QB 2011 from a CD, or from a download? This is QuickBooks configuration File. It exists while users are connected..// to a company file. Do not delete this file yourself. QuickBooks may not..// operate correctly IF you manually delete this file…[NetConnect]..EngineName=QB_data_engine_20..FilePath=C:\Users\Beckmann\Documents\ACCOUNTING DATA\QB Data\Company Files\Fayez Medical Corporation.QBW..ServerMode=2..FileConnectionGuid=24c84a139cbb4ccdaafdc0ba6351dc00…..
it says something about “ND file” I am stand alone with the server or network. Gabe, I can’t really diagnose these kinds of things through a blog comment like this. The ND file is a necessary part of QB, it is created automatically. You can erase it, QB will recreate it when you start it. Try uninstalling QB, then go to http://support.quickbooks.intuit.com/Support/ProductUpdates.aspx and download the program from there (make sure you get the proper year and version). Install from that download. If you are installing from the CD you are installing R1, and then you have to update to R3. If you get the downloaded installer it already includes R3. That is my best guess at this point, but without having hands on your system I can’t say much more. thanks for your input – I will try this as soon as I can find the time – as an accountant I am going into busy season plus vacation so I am really struggling to meet all my deadlines at this point. I will stay in touch as to how this all turns out. I sincerely appreciate all your advice.